Puff and I have been back from The Fort for a few days, but the time spent with our family and friends for the holiday was sooooo theraputic! It had been since July since I had spent any quality time with them and I missed them so much. Not to mention, I'm a total Christmas fiend and was uber-pumped to hand out the gifts I had gotten for everyone. 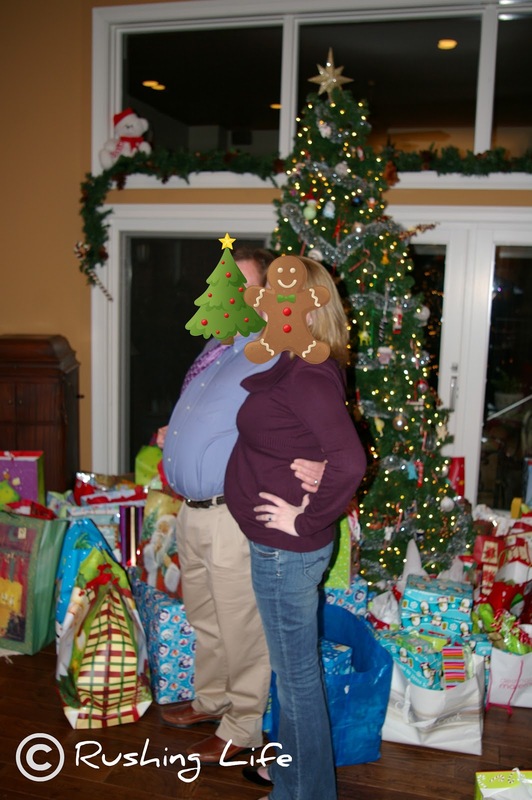 Here is me and my dad showing off our respective bellies in front of the ginormous gift pile at their house. Hey... at least I have an excuse for my ever expanding stomach! 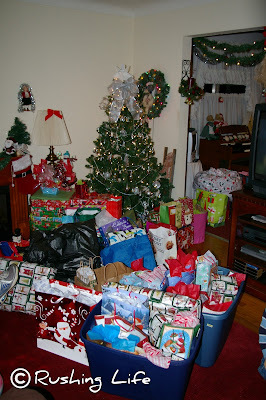 It was baby gift overload from my parents this year... including a Graco car seat and stroller! We are so beyond blessed to have my family. They are over-the-moon excited for Bimmer's arrival and also loaded us up on bibs, receiving blankets, onesies, and other toys too. But they didn't forget the new mommy and daddy either... I got a camcorder (to take video of Bimmer, of course) and Puff got a giant case of his favorite beer! Christmas Eve, we got to head over to Granny's house for this gift extravaganza. This was the part of Christmas we missed last year, because of the pending snow storm in the mountains of TN and NC. We stuck it out this time (no inclement weather of any kind... yay) and were able to spend hours with my mom's family, opening gifts, partaking in some bourbon slush (non-alcoholic for me this year), and catching up with everyone. 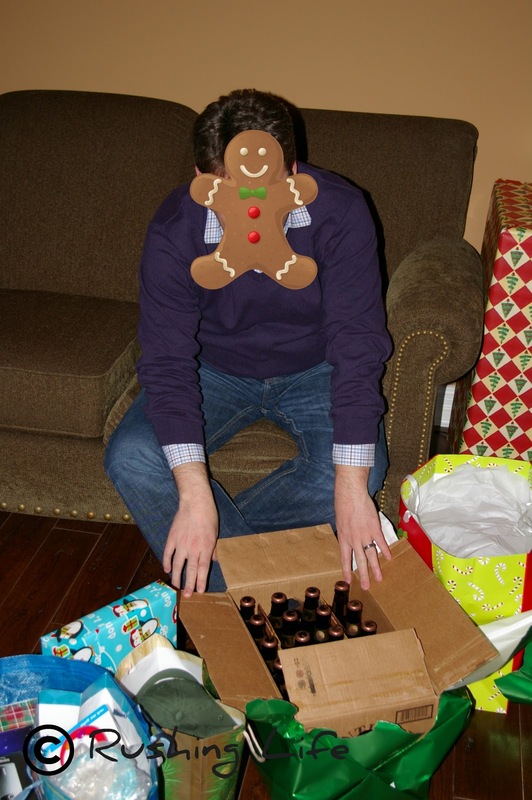 It finally felt like a real Christmas. And I was so excited to share it with Puff... but even more excited knowing that little Bimmer will be there with us next year! I hope everyone had a wonderful and merry Christmas with their families and friends. Just so hard to believe the holiday has already come and gone. Don't worry... I hit up Target's after Christmas sale yesterday and have already started stocking up for next year!